We’ve all experienced the explainable in life at one point or another, whether it be déjà vu or out of body experiences. Yet it can be easy to forget that what we consider unusual or out of the ordinary as adults were innately accepted and understood when we were children, prior to our conditioning. This is becoming more and more apparent as cases of children who remember past lives continue to surface around the world. The story you are about to hear is true. Imagine you are the parents of a young child and as soon as the child can talk and express ideas, he begins to refer adamantly to a past life he has had. How would you respond? In the case of this young man, there was more than just talk going on. He continuously insisted that he remembered a past life and that in that life he was murdered. 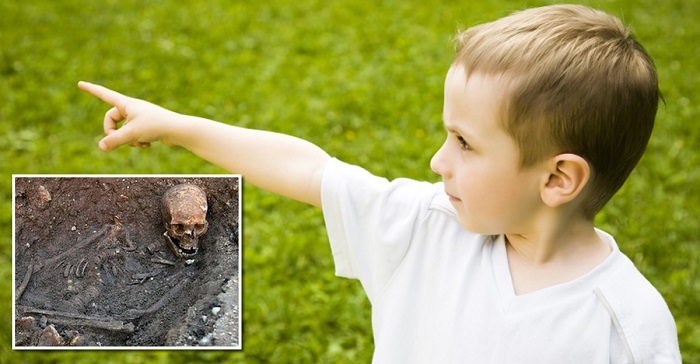 The boy led his parents to a very specific spot and told them that this is where he had died. The parents felt compelled to give in and begin digging at the spot. Can you guess what they found? Yes, a corpse! To add to the fascination of this amazing story, the boy also led his parents to the location of the ax that was used in his murder and this is thought to explain the red mark he was born with on his forehead. The boy eventually told his parents the exact name of his murderer and after some time, the man was located and even confessed to the crime. The occurrence of past lives is still in the realm of theory from a standpoint of science, yet stories like these are extremely compelling and difficult to explain away. What do you think? Do we live multiple lives? Is it possible to remember them?